Updates about the incident at Resorts World Manila immediately populated social networks in the Philippines. 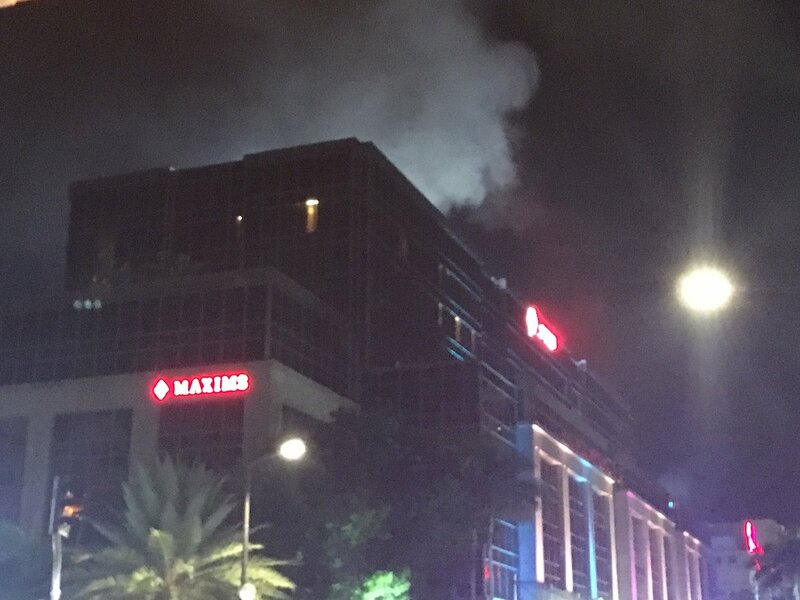 -Thick smoke coming off the top floor of Resorts World MNL. Gunshots were allegedly heard by people inside the casino area. -Several wounded after they hurriedly evacuated Resorts World Manila due to alleged shooting incident. -From Jay Dones, radio Inquirer: "Employees report seeing two armed men in masks enter thru the basement and fire exit of the casino and began shooting"
Just got off multiple calls. ALTHOUGH WE ARE STILL UNCERTIAN AS TO WHO THESE ATTACKERS ARE, there's rampant speculation that Isis has penetrated the Resorts World Manila area, specifically Marriot Hotel. I've spoken to several sources now in government and in Malacañang as well as friends from RWM and all we know for sure at the moment is that there's been gunfire, crowds running, and the attackers are in masks. Will keep you posted as more info comes in. Please stay safe, everyone," writes Franco Mabanta.